Getting rid of house moths is never an easy task, especially when you have moths that infest foods as well as moths that infest fabrics. You may be dealing with the Indian meal moth, Mediterranean flour moth, or Angoumois grain moth if you have problems in the kitchen or pantry. If your fabrics are under attack, you may be fighting the casemaking clothes moth or webbing clothes moth. Interestingly, the brown house moth and some others in the same category can attack your food and fabrics at the same time. Therefore, it is important to learn how to get rid of moths to avoid the damage and discomfort they cause. Let's find out more about it now! Moths can make living difficult for you because they can be extremely annoying. Thankfully, there are ways to get rid of them, and here are some suggestions to try. You can easily find a variety of moth traps in the market these days. You just have to set them out in areas where you have moths and they will start to work. The only thing you need to consider is that some species of moths do not react to all types of pheromones. Therefore, it really helps to learn first the species you are dealing with to find the most suitable moth trap. 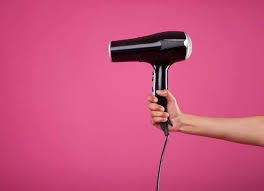 If you find moths on your precious dresses, you can use your blow dryer to get rid of them. Heat treatment will always work against moths and their eggs. If your clothes are not that sensitive to heat, you can even put them in oven and expose them to a temperature higher than 120F. This will clean your clothes in half an hour. Just like extreme heat, extremely cold temperature will also kill moths and their eggs. Simply take your infested item and put it in a plastic bag. Be sure to use a bag with a seal to ensure that those pests fail to escape. Now, put that bag in your freezer for at least four days. The cold temperature would kill moth larvae, eggs, and pupae. Moths hate cedar wood, so you can always rely on cedar chips to keep them out of your home. Take a bag of cedar chips and leave it in the infested area to repel them. 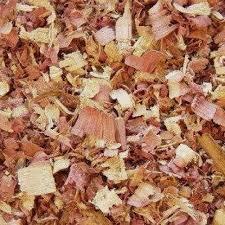 Just keep in mind that you should use a bag of freshly cut cedar chips. 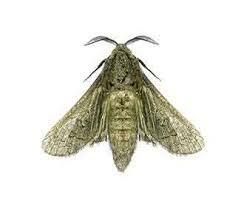 Just like cedar wood, moths hate the strong scent of bay leaves. You can simply add a few bay leaves to a potpourri to keep moths away from your property. It may also help to sprinkle a few of these leaves around your house to control moth infestation. It is difficult to get rid of house moths because they may hide in the cracks and crevices when you use a way to kill them. You can make use of silicone caulk to seal off any possible moth hideouts. By eliminating those hideouts, you will make your moth traps a lot more effective. This anti-pest herb may help keep moths away from your home. Simply take a few fresh leaves of Indian lilac and place them on your kitchen rack to prevent an infestation. 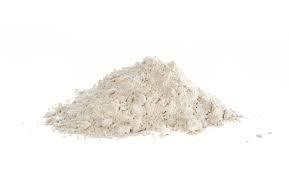 You can find food-grade diatomaceous earth to kill moths. Using it is a non-toxic way to treat infestation. You just need to sprinkle some of it in highly infested areas. Be sure to apply some around cracks and crevices. Moths start leaking when they move over the layer of diatomaceous earth and eventually die. You do not have to try something very unique to learn how to get rid of moths because something as simple as mint leaves can help keep them away. The strong scent of mint leaves repel moths and keep you from dealing with an infestation. Keep in mind that this simple remedy may not work if you already have a heavy infestation in your home. To make a pantry moth trap, you can use boric acid and cornmeal. Simply mix 3 parts cornmeal and 1 part boric acid. When you get a paste, apply it on jar lids and leave around stored foods to trap and kill moths. These sticks can help repel moths. 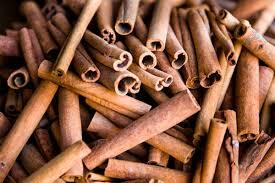 You can keep a handful of these sticks in your clothes to keep moths away, but keep in mind that the option works great but it is usually quite difficult to remove the scent of cinnamon from your clothes. Once you have cleared the infestation, it is important to clean your kitchen thoroughly to ensure you do not get another infestation, which is possible if you fail to remove all the eggs. You can mix soap and water or add vinegar to water to make a perfect solution. Use it to clean your kitchen. be sure to scour the pantry, cabinets, and other corners in your kitchen using a sponge scrubber. Be sure to scrub the surfaces properly to get rid of all the eggs.